We provide the farmer with an independent's recommendation for soil fertility and pest management. 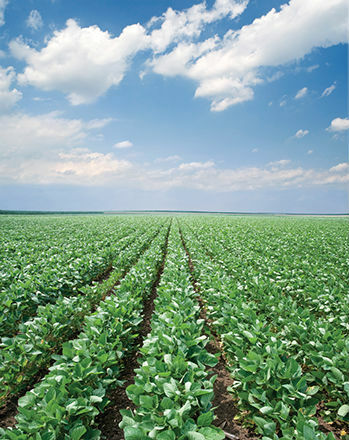 We do not sell fertilizer or chemical, we apply products where they are needed to achieve maximum yield potential. Our bottom line is that we look out for the farmer's bottom line. 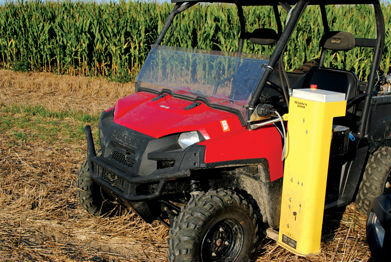 We have Wintex 1000 automatic soil pullers, mounted on Polaris Rangers for our sampling. We navigate to and store sampling pull points with our handheld GPS units. We then link your lab results to make variable rate recommendations. We will tailor a scouting program to suit any operations needs. Whether it be during critical growth stages or all season long. We are here to help! For corn, soybeans, and wheat a pH of 6.5-6.8 is ideal. Having a correct pH is very important for having the maximum availability of the soil nutrients. After we look at pH our next goal is to get your phosphorus and potash levels at least to the "critical" production levels. How do we get there? Through a precise and systematic approach! 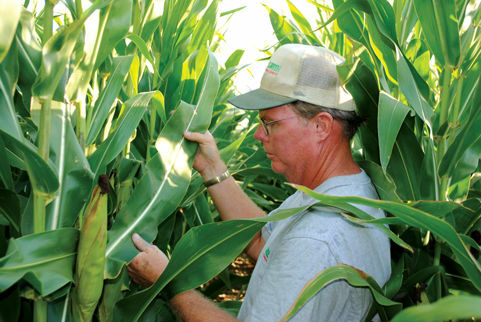 These two common methods of soil testing procedures have been debated about for years. Agri-Green has the philosophy that each testing method has its benefits, and we intend to implement both strategies in our recommendations. For new farms or fields to Agri-Green, we recommend pulling benchmark soil samples on 2.5 or 5 acre grids to begin the balancing process. 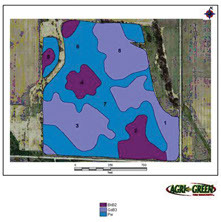 Our goal would be to get your fields balanced and to the nutrient "critical levels" within a few years so we could then transition into pulling soil either by soil type or based on crop removal from combine yield monitors. Why start with a benchmark? 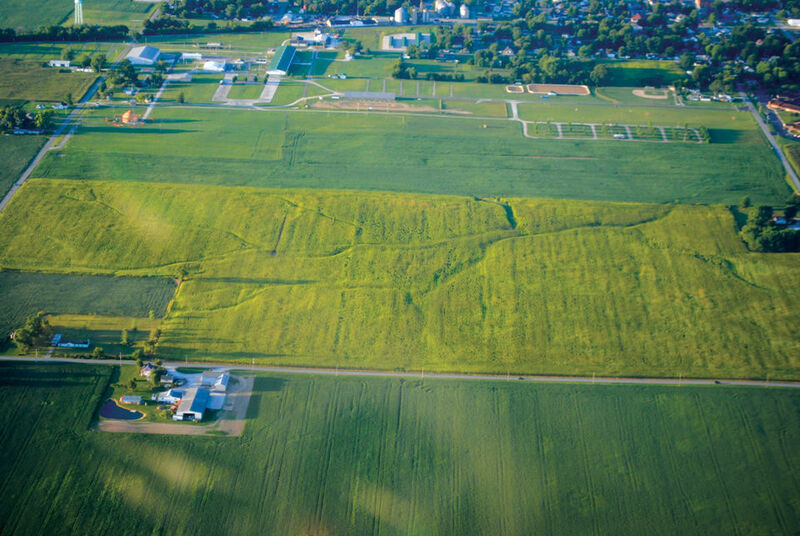 Until a field is balanced we see great differences in nutrient values from site to site. This can create an extreme under/over application of fertilizer due to the contouring and averaging of the sample points. The smaller the sampled area the more detailed and precise our recommendations can be and we will get to our goal quicker. We realize the initial costs are higher, and from our perspective a lot more work, but we feel the increased work load and increased lab fees are worth our long term objectives of getting each field to its maximum production potential. 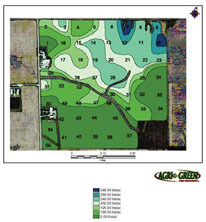 Recommendations from an independent consultant who does not profit from retail sales will result in reduced application amounts, thus reducing fertilizer costs. We look forward to working with you to analyze each and every field unit and talking about your yield goals for each field. a: 509 W. Pennsylvania Ave.